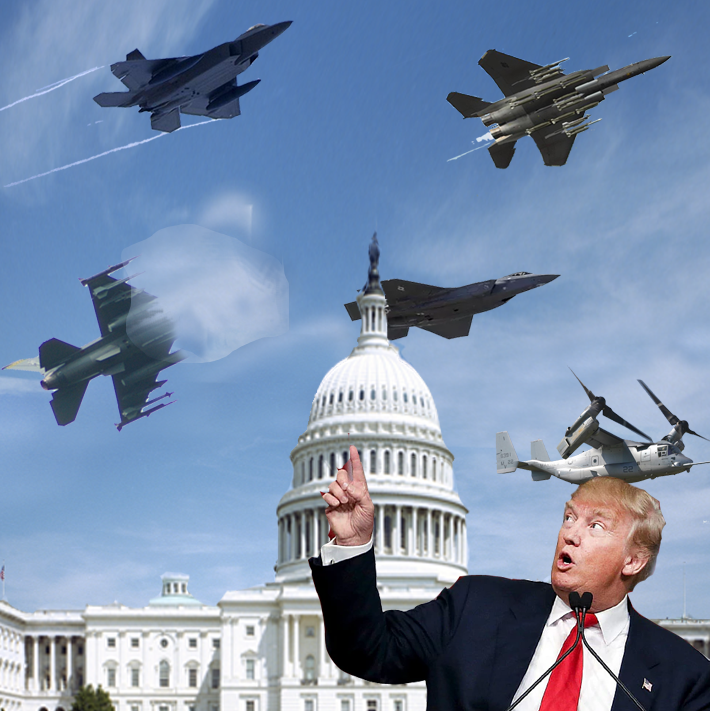 Unlike in Red Square and North Korea, military flyovers are not typically part of American presidential inaugural parades. President Trump has endeavored to ensure that his first day as commander-in-chief will be different, more impressive to his friend Vladimir Putin. His team wanted an unusual display of heavy military equipment. They even wanted tanks coming down Pennsylvania Ave but that was vetoed by the Army when they warned Trump that 100,000 pounds of tank would destroy the city streets. Planes, are another matter, The Air Force plans to fly four fighter jets: an F-35, an F-16, an F-22 and an F-15E. The Navy will fly four F/A-18 combat jets. The Army will fly four UH-60 Black Hawk helicopters. The Marines will fly four V-22 Ospreys. And the Coast Guard, which is still finalizing plans, is looking at flying four MH-65 rescue helicopters, Davis said. The number and type of planes used could change, depending on Friday’s weather, he added. Posted 20 Jan 2017 by theaveeditor in Misc.